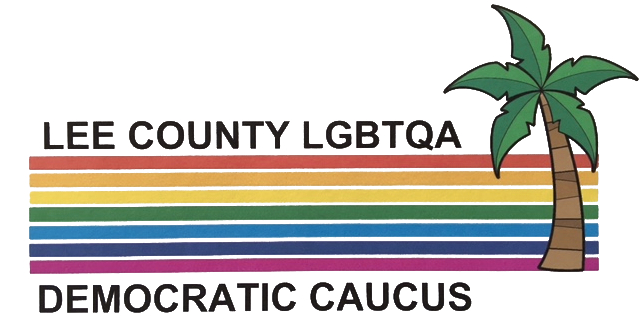 We, the members of the Lee County Lesbian, Gay, Bisexual, Transgender, Questioning and Allies (LGBTQA) Democratic Caucus, unite in a common purpose, to strengthen and further the ideals and principles of the Democratic Party, which recognizes and promotes diversity, good will, and respect for all members of the community. When you become a member of the Lee County LGBTQA Democratic Caucus, you’ll have a resource for information on important public policy issues that affect your future. Our meetings are open to all Democrats and provide a chance to interact and learn about political and legislative issues affecting you and the LGBTQA community. You will have the opportunity to meet periodically with elected officials and other political leaders, actively exchange ideas and perspectives, and educate them about the needs of our community. In addition, as a member, you will receive communications that provide you with up to date information on local, state and national issues affecting the LGBTQA community.